nikitonsky: As an author on Medium, I get to see what people highlight. It seems that in roughly 50% the highlighting is accidental: it’s random words, or parts of the sentence starting in the middle of a word, or even whitespace between words. 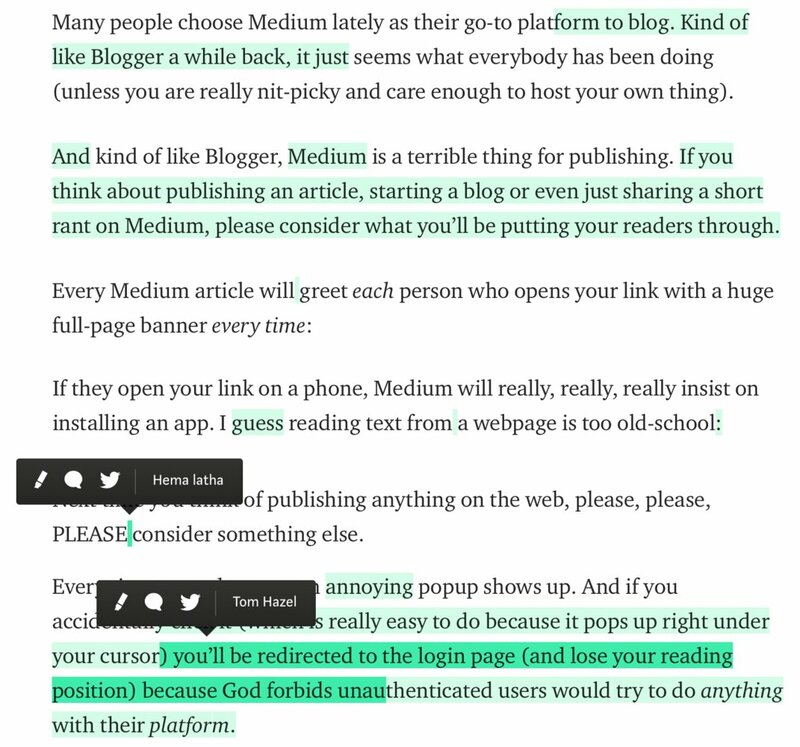 Which means that annoying popup Medium has when you select text doesn’t really work and lead to error in ~50% cases. Is it a good design? I don’t know. I don’t think so.